How To Clean Fabric Sofa? How To Clean Upholstery after your pet has an accident on it? 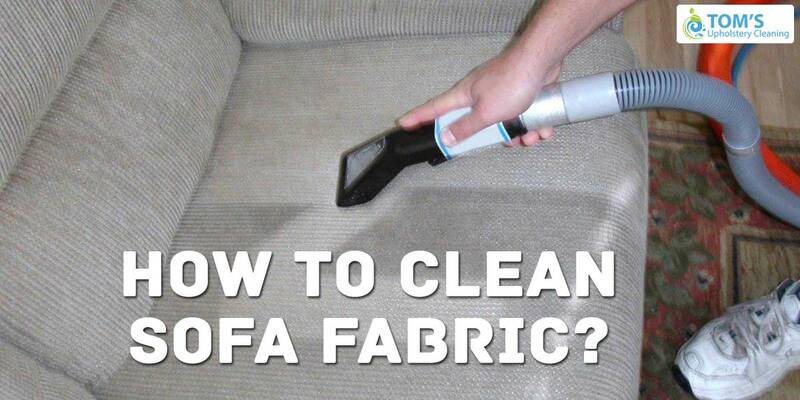 When Should You Hire a Professional Upholstery Cleaner? Great service from start to finish. The cleaners have done real work in cleaning and getting stains out from my couch and dining chairs. Highly recommend. A few days ago I am looking for someone who does my dining upholstery cleaning and one of my friend Luca give me your recommendation for dining upholstery cleaning services. I am more than happy with your services. Must Recommend! Thanks, Toms Upholstery Cleaning for great couch steam cleaning service. Within a few hours, they make my couch like a new one. Five-star couch steam cleaning, I definitely Recommend! Toms Upholstery Cleaning was recommended to me by a friend and she was right what a good job they do. Their cleaners cleaned my sofa, couch and dining chair very pleasant and polite. I will most certainly use Toms Upholstery Cleaning again. Such a fantastic Carpet and Couch cleaning service! Your cleaner really helps me out in not with the cleaning but also with the time flexibility. Now both the things looks like a new one. And at the end, they learn me some things which are really helping me out with the other upholstery cleaning services. I 100% recommend Toms Upholstery Cleaning for not only Carpet and Couch cleaning but also for whole upholstery cleaning process. Copyright © 2018 Toms Upholstery Cleaning All Rights Reserved.